Large scale drug smuggling operations are usually prosecuted in federal court, but when the feds decline to take over an investigation it gives the local police some time in the spotlight. The Harford County Sheriff has announced the details of a two year long drug trafficking investigation, that spanned from California to Maryland. The investigation began back in 2010, and police began making arrests in October of 2012. As many as 15 people have been arrested and charged with various crimes under the Maryland controlled dangerous substance laws. Some of the cases have already been resolved by way of guilty pleas, and others remain open with pending trial dates. Police first began their investigation after a 2010 tip from a citizen revealed that an Aberdeen man had been selling large amounts of marijuana throughout Harford County. Over one year later, cops received another tip that linked an Abingdon man with the alleged Aberdeen dealer. This second tip seemed to jumpstart county police into action, as cops began a lengthy undercover operation designed at building a case against all of those involved. County police first confirmed the tips making undercover buys from the two suspects. The suspects were not arrested after the transactions were completed, but rather police continued to make purchases from the dealers in order to gather enough evidence to secure wiretap warrants for the suspects’ phones. After the wiretaps were secured, the evidence began to pour in, and police were able to implicate over ten more individuals in the operation. Police learned that three of the suspects would regularly fly to California from BWI airport on one way tickets. While in California the men would arrange to purchases large quantities of marijuana from a fourth suspect, and then drive the pot across the country in rental cars. 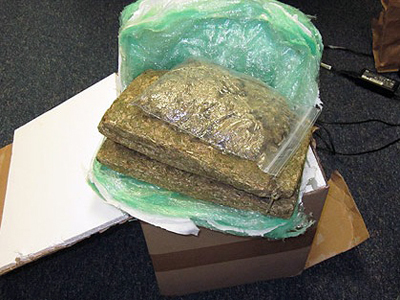 Police made the call to arrest all four of the suspects at the conclusion of one of these cross country trips, and the men were arrested in Baltimore County with approximately 57 pounds of marijuana. After the four men were arrested detectives carried out multiple search warrants and arrested the remaining individuals that were alleged to have been involved in the operation. Most of the cases are still pending, but at least one of the four men involved in the cross-country smuggling operation has pled guilty. The guilty plea occurred in Baltimore County Circuit Court in the first week of May, nearly 6 months after the 25 year old, who allegedly organized the buys in California, was arrested. This defendant, who hails from Bel Air, was convicted on one count of importing a controlled dangerous substance into the state and was sentenced to five years in jail with all but one year suspended. The possession with intent to distribute and possession of marijuana counts were nolle prossed by the state. Most of the other defendants involved in the drug distribution operation have yet to learn their fate, but it seams reasonable that most will serve similar sentences. Naturally the defendants that have prior convictions will likely face more than one year in jail. Also keep in mind that Harford County courtrooms are notoriously tougher than Baltimore County, so it will be interesting to see how these cases pan out. All 15 of the defendants seem to have dodged federal conspiracy charges though. The Blog will follow the status of these cases and may post a future article to comment on the sentences and or trials. Benjamin Herbst is a drug crimes lawyer specializing in marijuana possession and distribution cases. 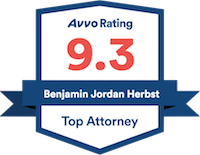 Contact Benjamin anytime for a free consultation about your case. Marijuana Seized, 15 Arrested In Harford County Undercover Narcotics Bust, baltimore.cbslocal.com.